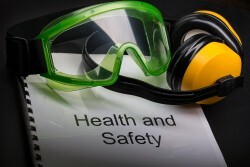 Safe Work Australia has reported that work-related compensated fatalities are at a decade low. As Safe Work Australia Month draws to a close, the national work health and safety authority has announced some encouraging statistics. Safe Work Australia released the 15th edition of its Comparative Performance Monitoring (CPM) report, which provides analysis on the trends around workers’ compensation schemes in Australia and New Zealand. One of the main findings was that work-related compensated fatalities were at its lowest level in over a decade. Rex Hoy, chief executive officer of Safe Work Australia, pointed out that his organisation easily surpassed the long-term targets set in 2002. “Over a decade ago the National OHS Strategy 2002-2012 set the target of a 20 per cent reduction in the incidence rate of work-related fatalities by 2012,” he explained in an October 30 media release. Mr Hoy did note, however, that there was still room for improvement. He said that 199 compensated fatalities were recorded in Australia in 2011-12, and this number had to be cut down even further. Additionally, in the same period, 12 in 100 workers were seriously injured to the extent they needed at least a week off work. While this figure represented a 28 per cent improvement from 2002, the target of a 40 per cent drop was not met. Workplaces around the country must keep work health and safety on the top of their agenda if future targets set by Safe Work Australia are to be met. This includes enrolling staff in OHS training courses to best prepare them for the specific hazards posed in the workplace. “To continue to see a decrease in injury and disease in the workplace we must stay committed to work health and safety and set high targets to ensure safer workplaces for all Australians,” Mr Hoy concluded.